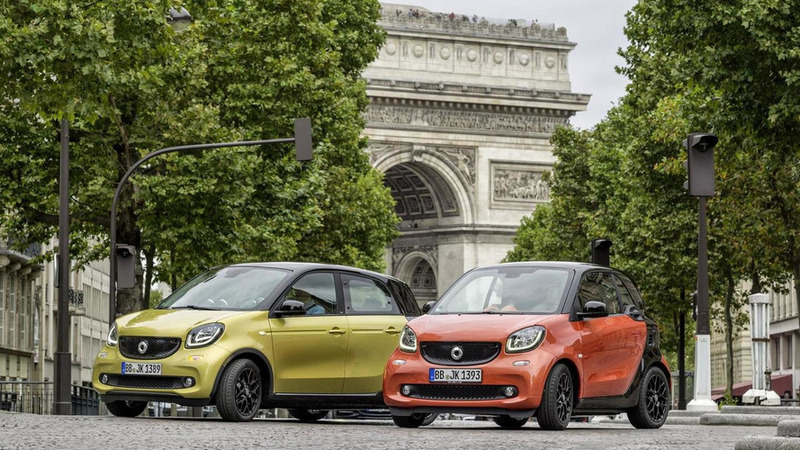 The cheapest fortwo kicks off at £11,125 whereas the forfour begins at £11,620, with both of them being powered by a tiny three-cylinder 1.0-liter naturally aspirated engine delivering 71 HP (52 kW) and 91 Nm (67 lb-ft). If you want a little bit more muscle, opt for the three-cylinder 0.9-liter turbocharged gasoline motor developing 90 HP (66 kW) and 135 Nm (100 lb-ft) which is available for the moment only in the fortwo from £11,720. At an additional cost, the fortwo can be configured with a dual-clutch six-speed automatic gearbox priced at £995 which replaces the standard five-speed manual transmission. 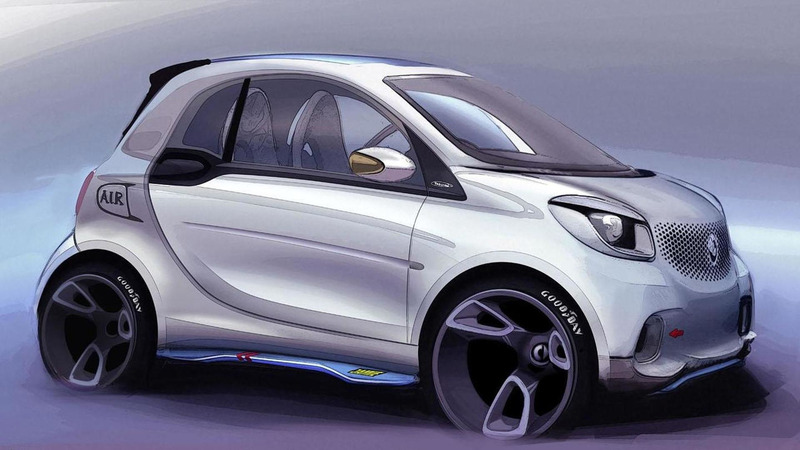 It will later on be offered in the forfour along with the turbocharged engine. In terms of equipment, the base passion trim comes with eight-spoke 15-inch alloys, automatic climate control, Bluetooth and an orange/black or white/black interior theme. Up next is prime (an extra £695) which has five twin-spoke 15-inch black rims, panoramic glass roof, black leather upholstery, lane-keeping assist, heated seats and extra dashboard instrument pods with a cockpit clock and rev counter. The proxy trim is available for the same money as the prime but is distinguished by eight Y-spoke black 16-inch alloy wheels, panoramic glass roof, blue & white interior, lane keeping assist, sports leather multifunction steering wheel, 10mm lowered suspension, chrome exhaust finisher and rubber-studded alloy pedals. Also available are Premium (£795) and Premium Plus (£1,295) packages bringing extra goodies such as rear parking assistance, navigation, height-adjustable heated steering wheel, electrically-adjustable mirrors, ambient lighting, LED headlights, rearview camera, coming home function and rain & light sensors. Lastly, there’s also an edition 1 available for both models which includes both aforementioned packages, different exterior color schemes and velour mats with edition #1 embroidery. Prices stand at £13,225 for the 71 HP fortwo, £13,820 for 90 HP fortwo and £13,720 for the 71 HP forfour.